FIle photo of invasive zebra mussels attached to a native species. As boat inspections in the Northwest ramp up for summer, an inspection at the Washington-Idaho border near Spokane last week turned up highly invasive zebra mussels. An Aquatic Invasive Species (AIS) crew with the Washington Department of Fish and Wildlife discovered zebra mussels on a pontoon boat from Michigan. It was on its way to Alaska. It had been out of the water since last fall, so the mussels were dead. But it had already made it through several other states before it was stopped for inspection on Interstate 90. Since January, invasive species have been found on eight boats in Oregon. Inspections are required for all watercraft in Oregon and Washington. That includes everything from motorized speed boats to kayaks to inflatable paddle boards. Bypassing a check station in Oregon can result in a $110 fine. In Washington, transporting aquatic invasive species can result in a $5,000 fine and up to a year in jail. Oregon’s Department of Fish and Wildlife operates six boat inspection stations throughout the state. Last year, crews inspected 21,000 boats and found 16 that were contaminated. In addition to the station on the Washington-Idaho border, WDFW operates a second inspection station on the Columbia River south of the Tri-Cities. Funding for both stations comes from a substitute Senate bill that was passed into law last year. It allows for a portion of the revenue from public utility taxes to go toward the program. Last year, more than 9,000 boats in Washington were inspected. No invasive species were found, but half a dozen boats were flagged for decontamination, according to a WDFW spokeswoman. 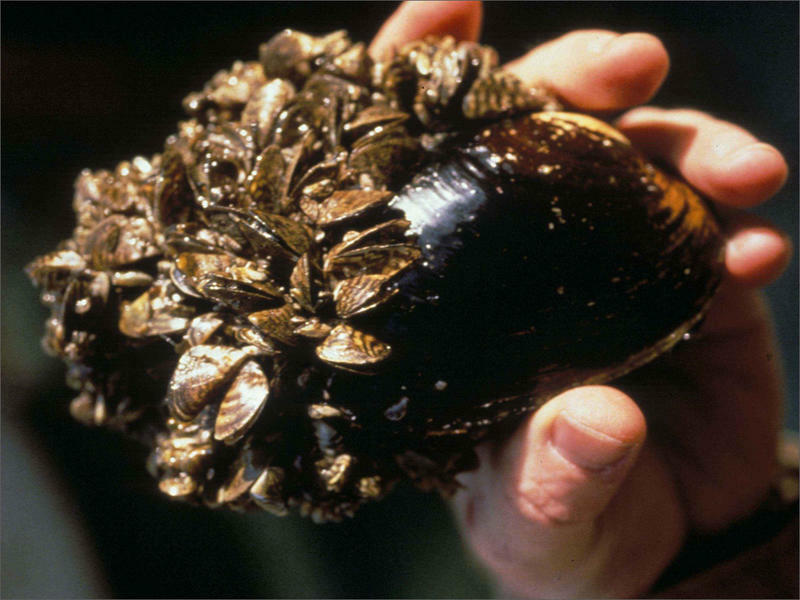 Zebra mussels are a freshwater mussel that are native to the Caspian Sea and were transported in ship ballast to the Great Lakes in the 1980s. They have been found in 20 states and two Canadian Provinces and are known to clog waterways and smother native species.